The Company was founded in 1999 as a fastener company specializing in distributing and importing high quality coated and Stainless Steel screws, nails, and bolts. By 2001, the company realized that most of their specialty Stainless Steel screws were being used for Ipe Decking and other exotic hardwoods, but distribution was very limited for these types of decking products. At this time, a procurement office was established in Northern Brasil for Ipe Lumber and also began manufacturing their own TrimTite™ and DeckTite™ brand of Stainless Steel fasteners in Southeast Asia. This strategy proved invaluable as the company was now positioned as a leader and authority in the field of fasteners related to hardwood decking products. The Designer Rail Aluminum baluster line was introduced. Made in the USA, we are the manufacturer and distributor of this high end railing product offered in: Textured Black, Textured Pewter, Eggshell Textured White, Antique Copper, and Textured Pyrite/Bronze. 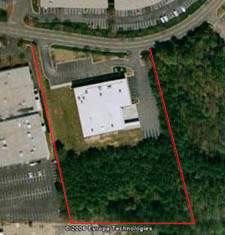 The company purchases a 30,000 square foot warehouse/distribution facility on five acres in metropolitan Atlanta. The Company was listed in Inc Magazine's 25th annual INC 500 ranking of the fastest growing private companies in the U.S. The company was ranked number 441 on the list with three year growth of 336 percent. The company sponsors #15 Ferrari Challenge Race Car with trimscrew.com and ipedeckingsource.com livery. A series of East Coast races followed an overall class win for the Southeast. The company launches 3 new major brands in the lumber category with GrooveMatch and DeckMatch decking including SlatDeck hardwood deck tiles. Atlantis Rail Systems becomes our Stainless Steel Cable Rail partner. The Company restructures to operate as WILLNELLA providing high end solutions for Hardware, Lumber, and Railing. Founder and CEO, William Wade, has over 24 years of experience in the building products industry. He has held product management and sales positions with companies such as Georgia-Pacific, Weyerhaeuser, Trex Company and Forms+Surfaces Architectural Products. This vast industry knowledge and experience is the backbone of Willnella. While handling mainly commercial sales and procurement, his primary role is ensuring that employees are properly trained and educated to handle customer questions and sales consultation.